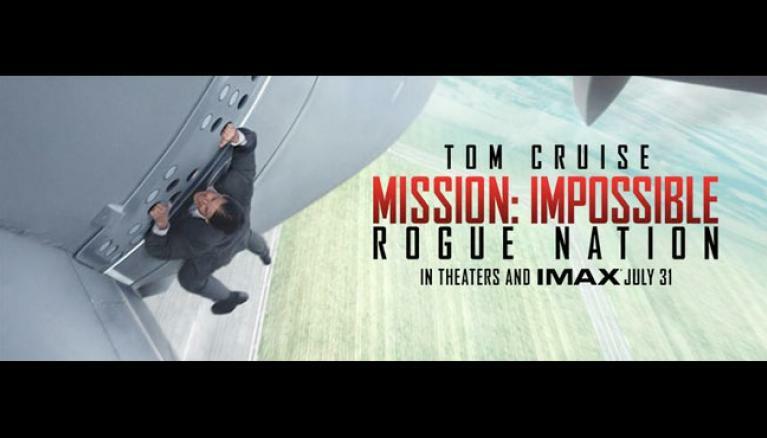 Mission: Impossible Rogue Nation is a lot like other summer blockbusters this year, it is brainless, but unlike some others, it is a lot of fun. Tom Cruise is the best and worst part of M:I Rogue Nation. He does his usual intense action performance as Ethan Hunt however his attempts to hide his age are distracting. He reminded me of middle-aged men that always hang out at a music store near my house that sells records and CD’s. Every time I walk by I just think, “these guys need to give it up”. There are some moments where you will feel that way about Tom Cruise in this movie, yet there were also a lot of scenes that were genuinely thrilling. Cruise does a lot of impossible feats for a man of any age but it is acceptable because this action series has always involved fantastic and unbelievable stunts. His forceful intensity often makes the scenes in Mission: Impossible Rogue Nation work. The opening seconds of the film were off to a shaky start because the parade of so many different production company logos we had to sit through seemed never-ending. The final one being J.J. Abrams ‘Bad Robot’ logo followed nicely by an otherwise boring opening shot of a grassy field in Belarus. Then about two or three minutes into the film, the audience is treated to the big “money shot” scene of Tom Cruise hanging onto the side of an airplane. This is the scene that has been in every trailer, TV spot and poster. It is wise to show this right at the beginning because now it is out of the way and the audience can focus on whatever new surprises are in store. The plot involved chemical warheads stolen by Chechen rebels and Ethan Hunt’s team has to track them down. Meanwhile, Hunt’s agency known as IMF is getting eliminated and taken over by the CIA, lead by Alec Baldwin, which causes a slew of new problems for Cruise and Co. along with plenty of plot twists and action sequences. One of the most spectacular action sequences is a car/motorcycle chase that ranks as one of the best chase scenes in years. Most of the supporting cast is uniformly very good. Jeremy Renner and Simon Pegg are back in their same roles from the fourth Mission: Impossible film and do much more than push papers behind a desk or serve as comic relief respectively. The script really utilizes their acting skills and makes them intricate to the story. Alec Baldwin does a superbly subtle job, as we never really know where he stands as he simultaneously tries to find Ethan Hunt and prevent a global catastrophe. Plus it was really nice to see Ving Rhames back in a big budget Hollywood movie. The iconic Mission: Impossible theme is great and used properly throughout. Nice to know the filmmakers knew to leave well enough alone. Mission: Impossible Rogue Nation is a missed opportunity to deliver a deeper message about politics, terrorism or global affairs today, but then again none of the previous Mission: Impossible films cared for that either. This movie is just pure popcorn action and exactly what one would expect from a good summer blockbuster. Mission: Impossible Rogue Nation is a better than average spy action flick that borrowed scenes and plot devices from three lesser known James Bond films, The Spy Who Loved Me (1977), The Living Daylights (1987) and Quantum of Solace (2008) but you should watch this movie on your own and see what it lifted from 007. 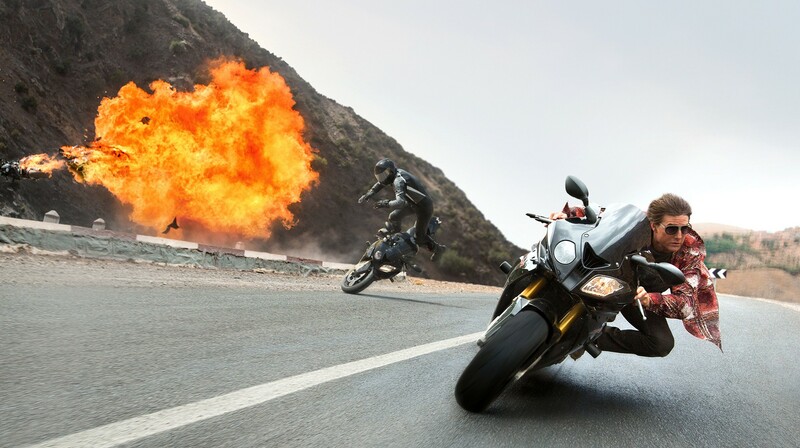 Overall the fifth Mission: Impossible delivers what you want and what you expect. It remains one of the most consistent action franchises we have. Final little fun note, unlike other big summer movies of 2015 (ahem, Jurassic World) Mission: Impossible Rogue Nation accounts for women running in stilettos. A nice little detail. Mission: Impossible III (2006)-The only one in the series I would not recommend.